Opening Keynote panel. (L to R) ‘Desh’ Deshpande, V. Manjula (IT Secretary, Govt. of Karnataka), CP Dasa (Vice Chairman, ISCKON), Ramji Raghavan (Chairman, Agastya International Foundation), Dilip Modi (Chairman, S Mobility), R B Jain (Senior Executive President, Jain Irrigation Pvt. Ltd.). The 10th Development Dialogue, held on the 28th and 29th of January 2017, brought together over 400 delegates and 70 speakers from 250 organizations. The event was one of India’s largest and most anticipated social entrepreneurship ecosystem conferences that encouraged solution-seeking and solution-leading people from diverse sectors to collaborate towards sustainable solutions. This year’s theme focused on “Scaling Effectively”. Keynote speakers deliberated on the many varied nuances of an organization’s metamorphosis as it scales to create wider and deeper impact in communities. 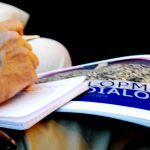 Development Dialogue was more than a one and a half day conference; it included a full week of events spanning across sectors. 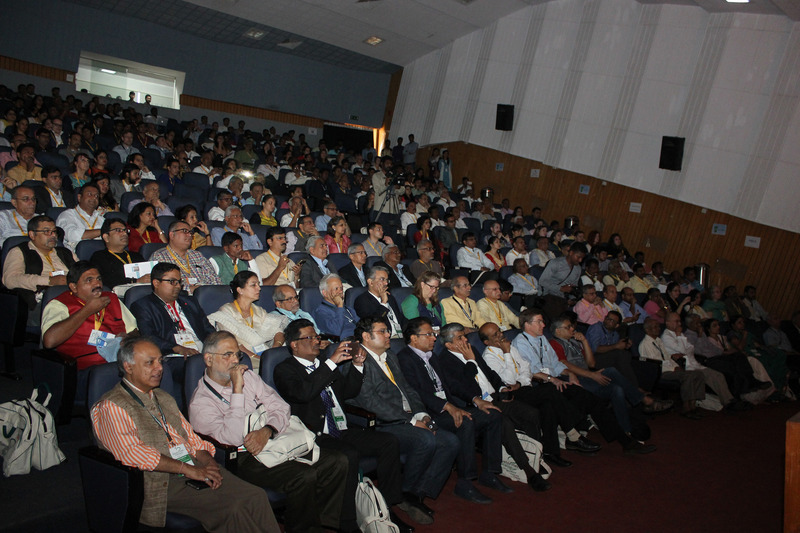 The first was Krishi Sinchana, an agricultural conference that brought together 2500 farmers and agricultural experts, followed by sector-specific conferences on education, health and micro-entrepreneurship. The events enabled peer-to-peer learning among practitioners and learning from invited subject matter experts. Additionally, the annual Yuva Summit brought 1000 collegiate leaders together to share their innovative initiatives to solve small problems of their communities. 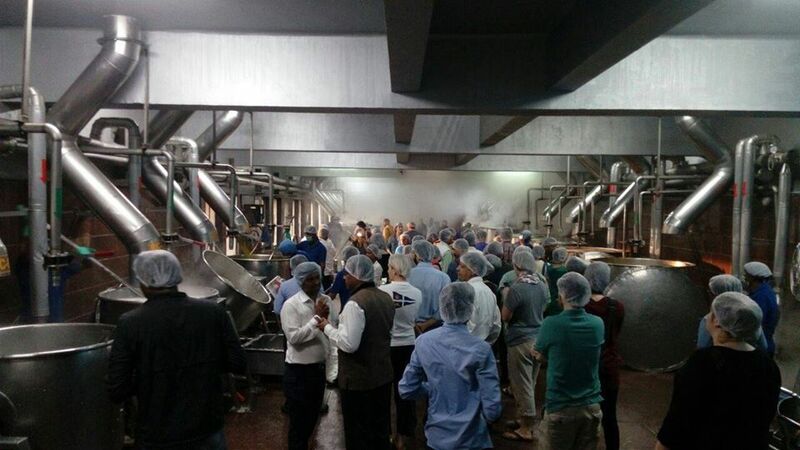 Field visit to the Akshaya Patra kitchen at Hubli which cooks 1.3 million meals a day. Delegates also had the opportunity to engage with the Sandbox through day-long field visits to our partner organizations – Save a Mother, Akshaya Patra, Agastya international Foundation, BAIF, and the Foundation’s own initiatives – Deshpande Educational Trust, Navodyami and Neer Sinchana. Delegates were able to interact with the program coordinators and experience the impact being created on the ground. A view of the audience at one of the sessions on ‘Scaling Effectively’ during the Development Dialogue. No Development Dialogue would be complete without hearing from the Deshpande Foundation Founders Dr. Desh Deshpande and Jaishree Deshpande. To mark the milestone 10th year of the conference, Desh took stock of the Sandbox’s journey and presented the roadmap for the next 10 years. He highlighted the necessity of maintaining both collaboration and competition in tandem for excellence in the development sector. The Dialogue stood out in the scale, quality and diversity of the Speakers and delegates, cutting across geographies and sectors and including key representatives from the Government, academia and industry. Over a week’s course, we were able to network and gain new perspectives, working towards solutions for India’s most pressing problems. We greatly enjoyed the energy coming out of this year’s conference and look forward to welcoming you all back next year!